In this project, the author simulates waves using MATLAB and the shallow water equations (SWEs) in a variety of environments, from droplets in a bathtub to tsunamis in the Pacific. 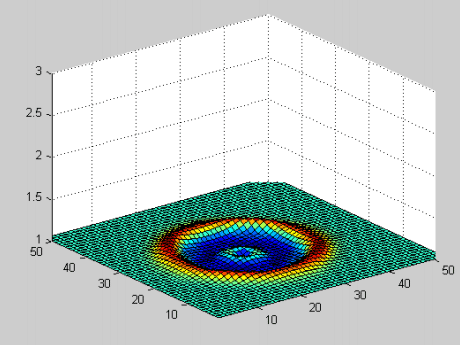 These results are then plotted in 3d using both rectangular and spherical coordinates. i’m studying geophysics and i’d like to have this code. Sir i would like to know the boundary conditions clearly for my project of simulation of shallow water equations. There are no boundaries, the walls are portals.